The price was raised since my previous purchase, but it is still a good one, and together with the fast delivery it makes a great purchase. good tone across the whole range of the instrument. I bought a selection of reeds. None were bad, although some were better than others. Still trying them. 3ZZ is what I normally use. 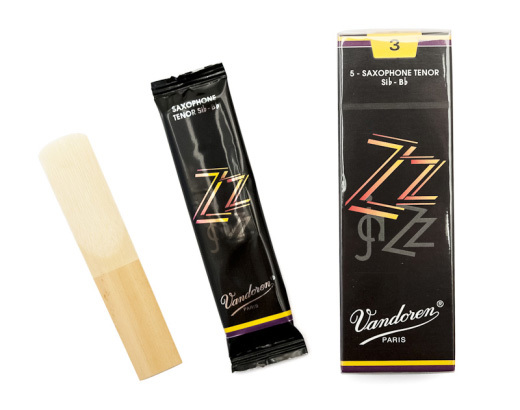 Excellent fast service and delivery of reeds! And cheap too. Been using Dawkes for years as I am so happy with their service. Been using Gonzales reeds for a while, but due to a lack of availability thought I'd give these a try. Was also wanting to brighten up the sound, make it a bit more edgy without changing my mouthpiece. These ZZ reeds sound great and bring in some buzz and edge I was looking for but without sacrificing fullness of sound. Recommended. This was tried on a Rafael Navarro Maestra mouthpiece. I find these reeds need a few hours bedding in before reaching an acceptable sound and response. I\'ve played on Javas for years, but usually the greens. I\'ve started experimenting recently, and I like ZZs a lot. They make a much more cutting sound than the greens, and especially the reds, so they\'re not as good for ballads and suchlike, but for a hard sound, they\'re great.